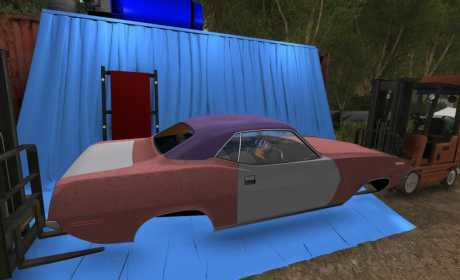 Build a classic American muscle car to save your junkyard! A dirty rich businessman from the city is trying to rob you of your land and has challenged you to a race – it’s your last ditch chance to save your junkyard in a race! Scavenge powerful aftermarket parts and tools from the junkyard and fix, restore, and upgrade a classic muscle car to win the race! It’s time to show those city-folk what a real car looks like! Work with your talented and beautiful partner to explore, find tools and parts, and perform dozens of car repairs and upgrades to transform a beat up clunker car into an amazing high performance muscle monster! Explore and build cool contraptions in the junkyard! 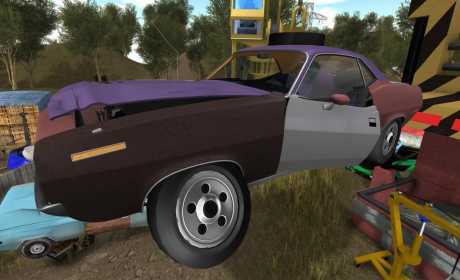 Pimp out and restore your classic muscle car with dozens of engine, body, suspension, interior, and performance mods! Detail your ride with cool and fun upgrades. You’ll have fun in this simulation by challenging your car mechanic skills and learning about auto upgrades that you can do in real life. It focuses on customizing a cool classic muscle car while finding new parts like a HD Hidden Objects game, until you are ready to race it, and is a top free 3D mechanic simulator game of 2016. Find all of your partners rabbits in an optional and challenging scavenger hunt.. there’s a secret to be found here! + Explore cool environments – it’s your own personal junkyard! + No in-app purchases – you get everything upfront!